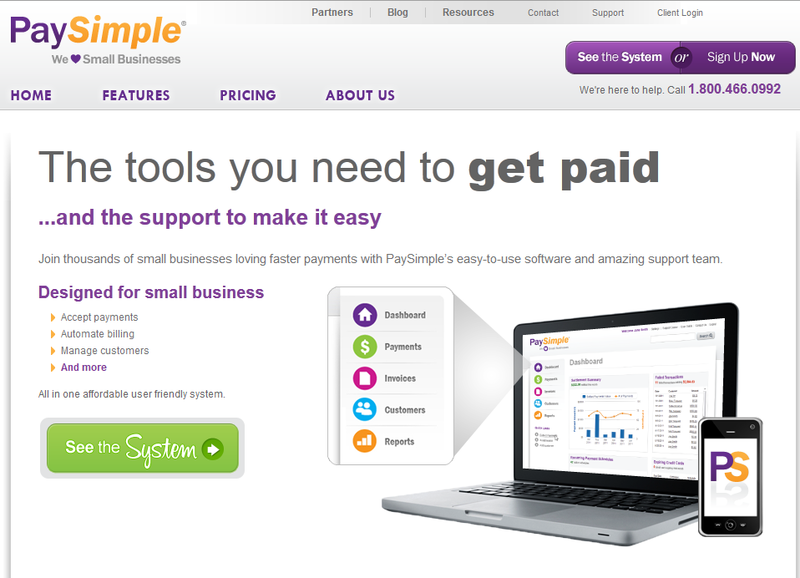 PaySimple would like to congratulate our marketing team for the successful launch of our brand new website. We’ve added some new features and functions designed to make learning about receivables automation so much easier. Much of the driver behind redesigning the site was we knew that prospects were not being provided as helpful of experience as they could be to learn more about the product and how it works. When talking with customers, we found that a lot of the functions they loved the most were buried “in the details” so-to-speak, and may not have been mentioned at all on the website. We brought these features to the forefront, where customers wouldn’t have to dig to find them, and we also created step-by-step slideshows that walk users through how to use the many functions available to them. Everything else flowed under those needs. Improving the design was another major breakthrough. How do we take all of the information we want to convey and display it in a way that’s super easy to navigate and expresses our personality? Only time (and a lot more testing and data) will tell if our ideas match with users’ expections. But until then, we’d really like to hear your feedback! Feel free to comment or drop a note on Twitter or Facebook.